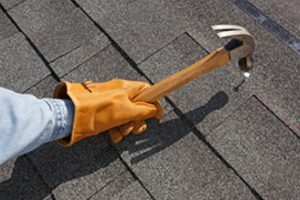 A to Z Roofing offers full service residential roof repair services in the Denver metro and Colorado Front Range areas. Our residential roofing repair customer’s satisfaction is assured with our 25 years of Denver Roofing Repair experience, free roofing estimates and quick turnaround times between estimates and roof completion. Many times a homeowner doesn’t need or want a complete roof replacement. If you have a roof that is leaking or damaged in some other way, our experts can evaluate the roof damage and get your repairs done quickly. Failure to fix any roof problems can lead to larger and more costly issues such as mold, rotting, or flooding. About 75 percent of roofing work is repair and re-roofing due to hail or wind storms, age and wear. Your homeowners insurance usually covers roof problems such as hail or wind damage. We can assist you in filing your claim whether you need a repair or new roof. Our roofing insurance claim experts will work with your insurance company every through every step of the claim process. Have some of your shingles blown away or been torn off? If so, then your roof has been compromised and cannot perform complete protection in the various types of weather and climate in Colorado. If a shingle is missing, then the roof structure could be vulnerable to water damage such as leaks and rotting. Missing shingles should be replaced as soon as they are discovered to prevent the development of bigger and more costly problems. Many roof repairs are caused by the natural wear and tear on shingles, and deterioration over time. This is caused by daily wear and tear due to the Colorado weather which varies from rain, snow, heat, and freezing temperatures. Snow, ice and rain can all lead to water damage and the sun’s rays can also contribute to the shingles deteriorating over time. If you are experiencing leaks in your roof, it could be due to the deterioration of your flashings. If the flashing has not been properly installed or has loosened over time around your chimneys, skylights, vents and other roof structures, water enter your home through these openings. In the majority of cases, flashing problems can be corrected by simply replacing the roofing material around these structures.